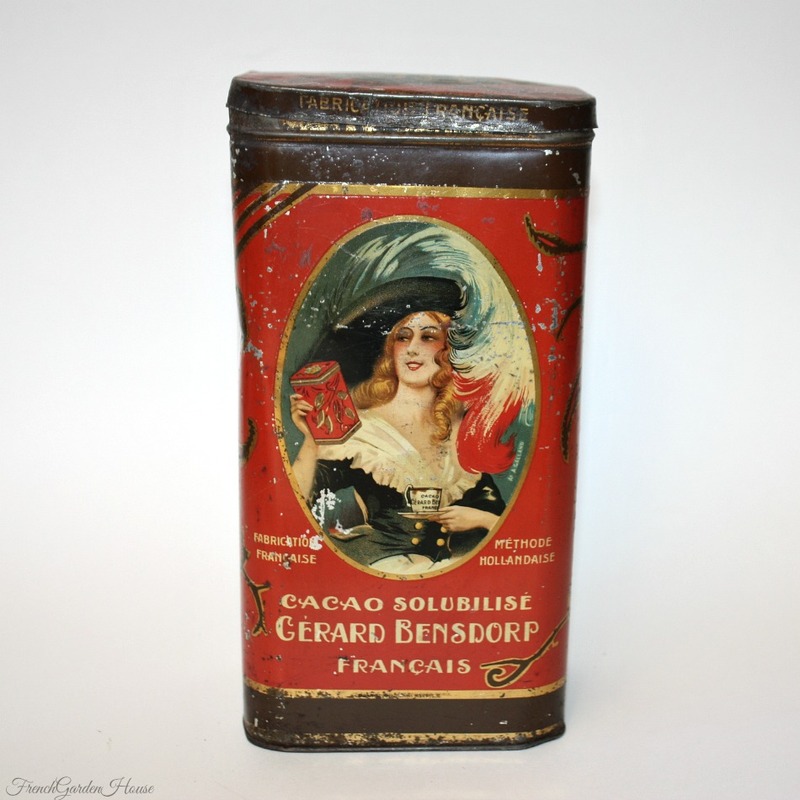 Stunning graphic collectible Antique Chocolate Tin, which was sold by Gerard Bensdorp, with a beautifully dressed young lady on the front wearing a large plumed hat, a portrait signed by Andre Galand. Hot chocolate was all the rage in the late 1800's to early 1900's, with special establishments set up just to drink an elegant cup of chocolat. From 1795 to 1813, the Netherlands were under French authority, when Napoleon arrived, the French Emperor taught the Dutch how to turn cocoa beans into delicious cocoa and chocolate delicacies. 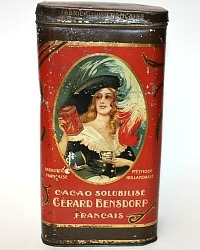 In 1840 Gerardus Bensdorp founded his small cocoa factory. 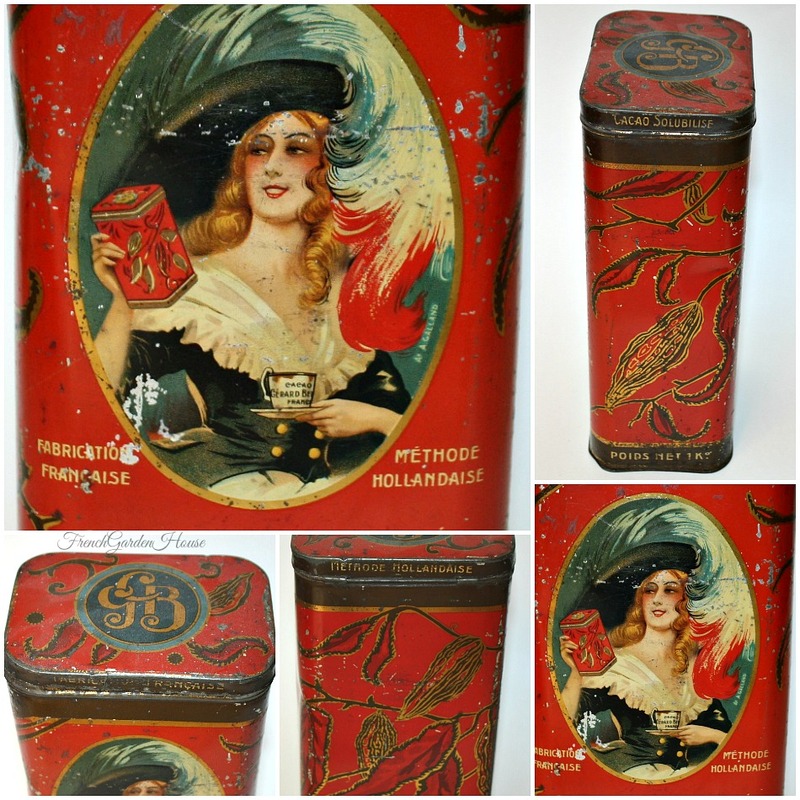 Collectors prize early lithographed tins such as this one, the bright red color is set off perfectly with the bright gilt, the cream art nouveau lettering, and cacao bean pod design on the rest of the tin. 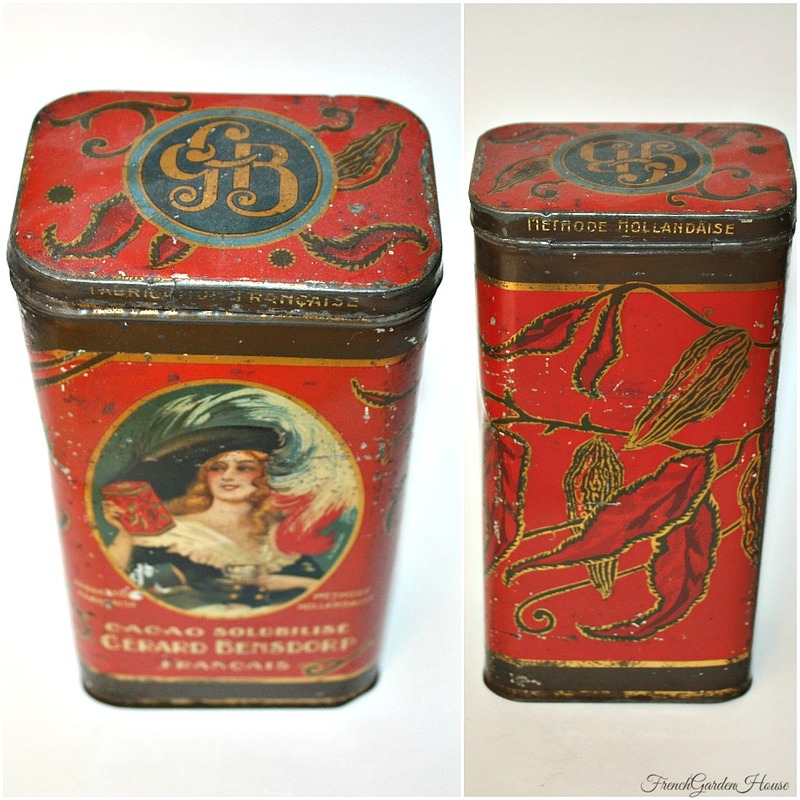 Elegant elongated shape, the tin still closes tightly. A rare tin to acquire, a prized addition to your collection of early tins. Has wear commensurate with age, graphics are strong and lovely. Marked Fabrication Francaise Methodaise Hollandaise. Measures 4~1/2" x 3~1/4" x 9"H.